Teflon vs Ceramic Coating For Cars: Which Is Better? We try and explore the differences between the processes of Teflon coating and Ceramic coating a car's exterior and try to find out which one is better in the long term. There are few better feelings in the world than to walk out with a brand new car from a showroom. After all, you have spent a lot of time and money in order to purchase your dream set of wheels. One couldn't possibly put into words, the feel of the shiny metal, the 'new car fragrance' of the interior and the pride of possession of a brand new car, which is all yours. The real question though, is how to keep your car looking good as new even after months and years of usage? If you look hard enough, you will see that there are multiple options of getting exterior and interior car care treatment across multiple outlets in the country. 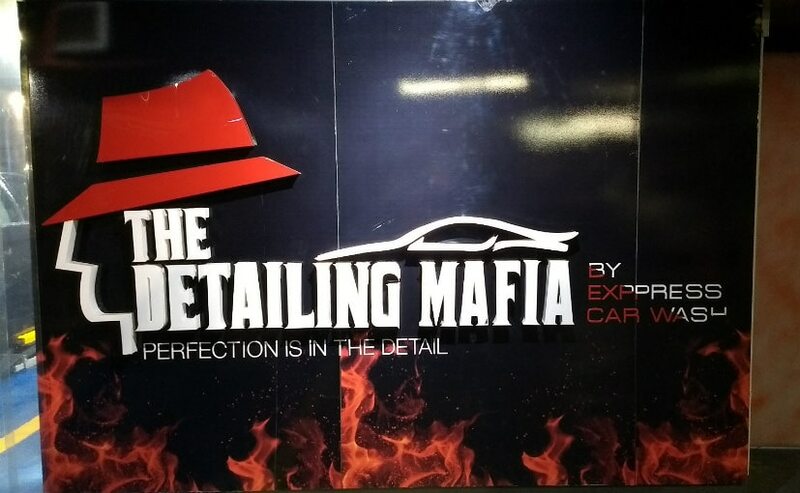 We went to the 'The Detailing Mafia by Express Car Wash' who offer a bouquet of detailing services for cars and two-wheelers as well. 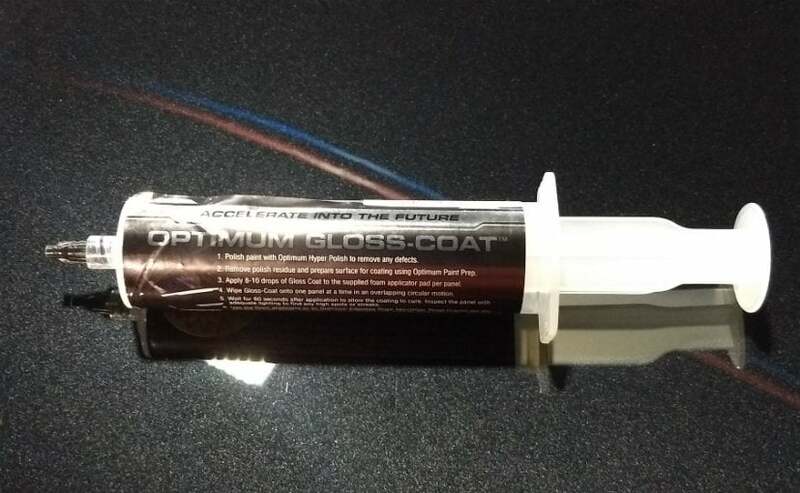 The idea was to explore two popular car care treatment for exteriors, which are Teflon coating and Nano-ceramic coating. Before you begin any sort of treatment on the car, the first logical step is to give it a thorough wash. There are four ways in which you can get your car cleaned. The first one is how most of us do it, by appointing a cleaner who comes every day in the morning and washes your car. The second way is where you take your car to a regular pressure wash place. 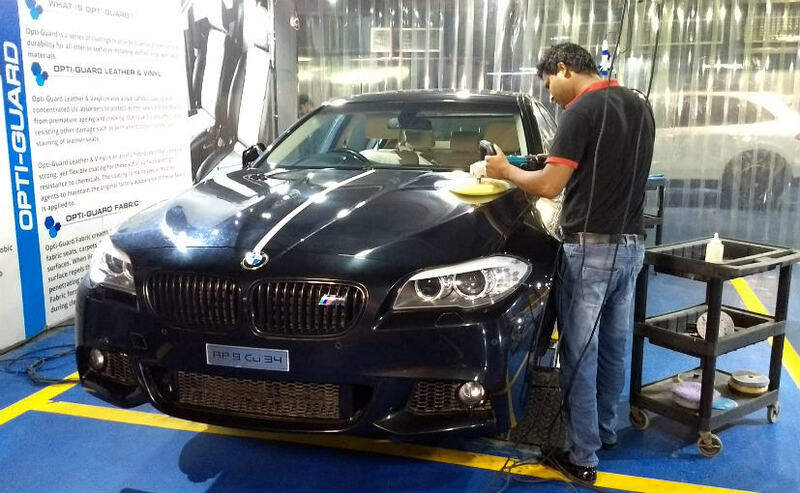 Your third option is to take it to one of the detailing services outlet such as 3M, Express Car Wash and so on. And finally, the fourth option is to get your car a waterless car wash.
Once the car has been thoroughly washed and wiped, it is time for the compounding process to begin. What this means that the applier will polish the car or a part of it with a cutting compound. The idea is to get rid of the swirl marks on the panels and give the car a shine. The process itself is pretty simple. Use a rotary polisher to apply the cutting compound over the body panel and buff it out nicely. Once this is done, the next step is to use a dual-action polisher. This ensures that the cutting compound has done its job and the swirl marks are completely gone. Once, the compounding process is completed, it is time to apply either a Teflon coating solution or a Nano-ceramic coating solution. Delving a little deeper into technicalities, Teflon is a flouro-polymer which is has a base of synthetic wax. It is the same material as your non-stick cookware is made of. The Teflon coating is 0.2 microns thick and forms a protective layer on the painted panels of the car. Ceramic coating on the other hand, is a clear coat, which uses Carborundum, one of the hardest materials in existence, in its manufacturing. When applied, the ceramic coat forms a chemical bond with the layer of paint on the car, forming a clear coating on the surface of the car which is resistant to chemical etching and is hydrophobic as well. Putting it simply, the layer also serves as a protection from rust. The prices of Teflon coating process usually start from 4,500 rupees and go up to 7,000 rupees, depending on the size of the car. 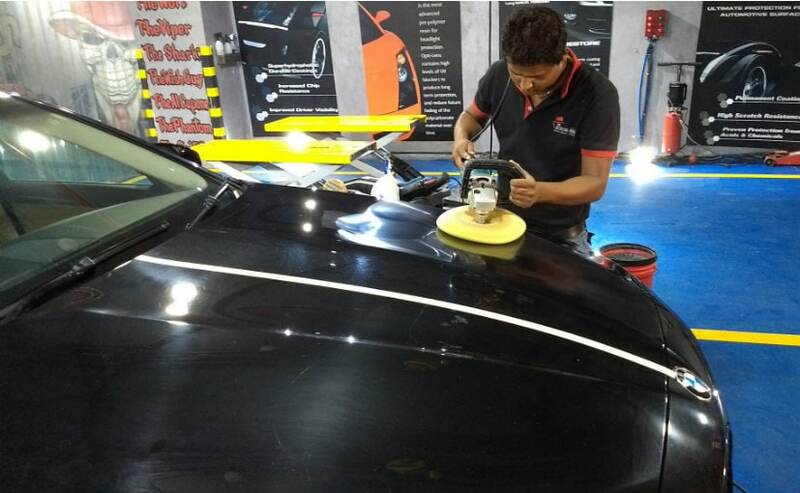 On the other hand, the prices of ceramic coating your car starts from 18,000 rupees and can go up to 35,000 rupees, depending on the size of your car and the treatment package that you opt for. There is no doubt that getting a ceramic coating treatment for your car will be more expensive, but having said that, it is also said to be more durable and offer better protection from scratches, swirl marks, dust, rust and so on. At the same time, it is resistant to all sorts of weather elements including acid rain. 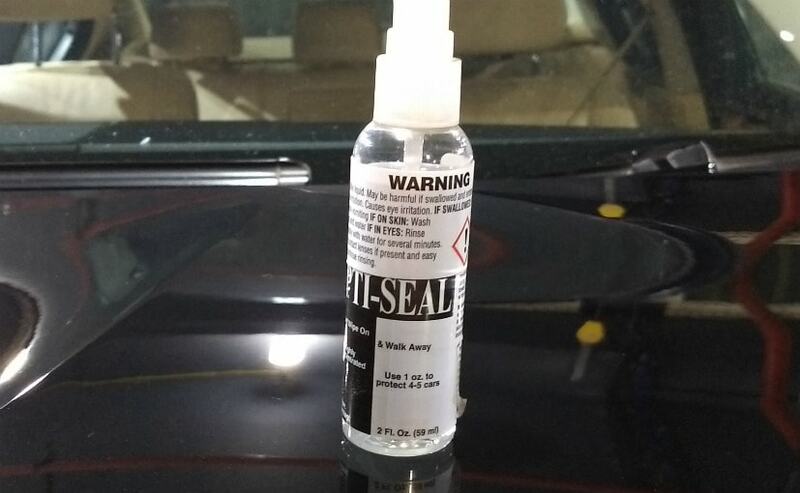 Getting your car Teflon coated would seem to be a more affordable solution but it will lose its durability in less than six months and will need to be re-done again and again, shortening the life of the car paint as well. Also, it offers lesser protection than ceramic coating too. So if you want to keep your car looking good for a longer time, be smart and invest in ceramic coating over Teflon coating.